New Metal Roof. 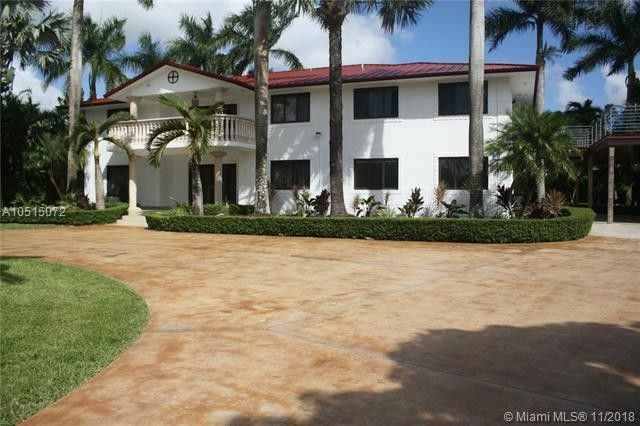 Remodeled private Redland estate on 4.7 acres with a producing avocado & Lychee grove and 4 horse stalls. Enter massive front door to your modern country home. Make dinner in your gourmet kitchen with cooking island then sit in front of your wood burning fireplace to enjoy your fresh picked fruit from your countless Florida fruit trees. Later relax in the heated pool/spa or in your upstairs Master suite with fireplace and sitting area. Huge game room to play in.This beautiful home is located close to Redland Golf and Country Club as well as the well-known Knaus Berry Farm.